VINYL -TERROR & -HORROR is a collaboration between Greta Christensen and Camilla Sørensen. The project is focused on the relationship between objects and sound and is presented in different situations as installation, sculpture, composition work or as live concerts. 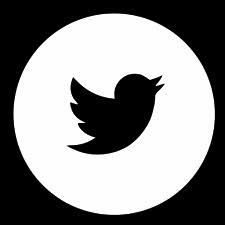 The work - wether it is presented as an installation or a concert - uses sound to create a narrative that always directly refer to the medium playing it or the situation it is showed in. The sculptural work includes amounts of various materials where the live concert focuses exclusively on LP-records and turntables. In a live situation the turning point is the vinyl media and every aspect of it. Turntables and LP-records are deconstructed, manipulated and respectfully cut into bits and pieces, scratched and stepped on. The sound of the physical medium is unseperateable and constantly present in the narrative of sound that mixes various genres of music and haunting, neck breaking sounds from horror movies and sentimental heartbreaking sequences where the opera singer is looping and the birds are singing backwards. Concert & Live Recording to be published on tapes. 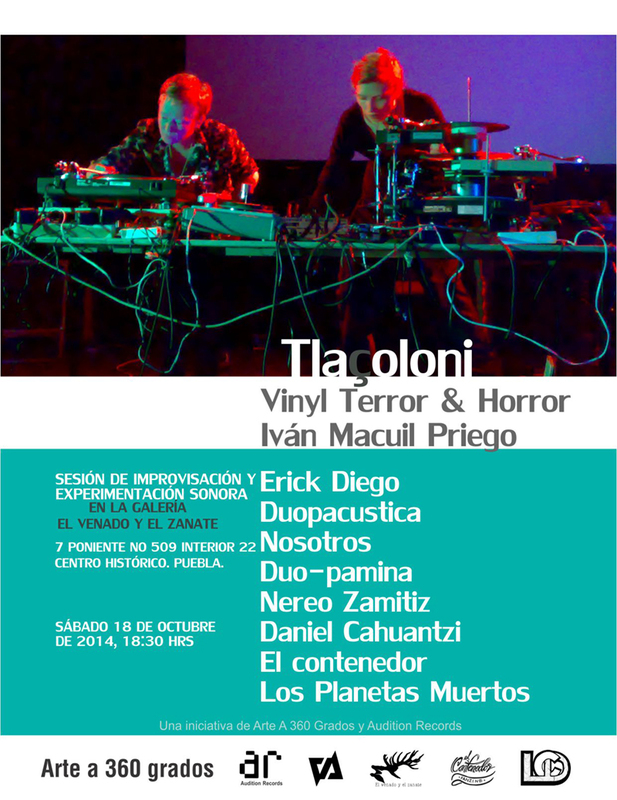 For its first time in Mexico,the Danish duo of electronic art, Vinyl Terror & Horror, will perform deconstructed turntables and cut-up records. In addition to the presentation, a second performance will join the night, with the composer, vocal performer and director of the Festival Aural, Rogelio Sosa. 7 PONIENTE NO 509 INTERIOR 22 CENTRO HISTÓRICO. PUEBLA. 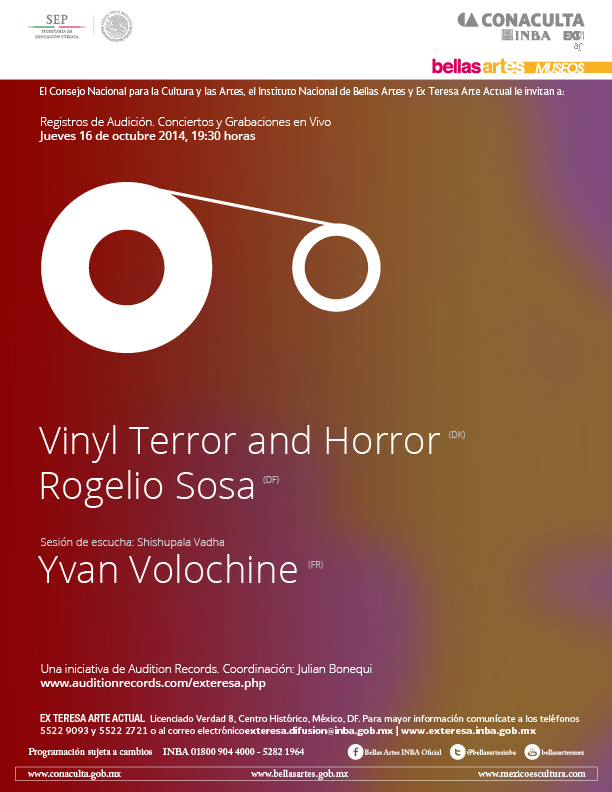 Vinyl Terror & Horror will play some sound pieces and demonstrate a variety of different cut-ups records possibilities as inspiration. At the end of the workshop, the students will jam together within' different turntables as ensemble using the technics applied to their own result into "new vinyls". The final session will be recorded, and transmitted during a Radio program hosted by RadioCCD, with Vinyl Terror & Horror as special guest in its inspiring visit to Mexico. For our residency program of international artists, we have prepared in collaboration with Radio CCD, Centro de Cultura Digital a radio session, showing the results of the workshop/turntable jamming with the recordings on audio done at the workshop at NoEstaciónArte on the previous day, while Vinyl Terror & Horror tell us more about their music, techniques and concepts. An iniative by Audition Records in collaboration with the Ex Teresa Arte Actual Museum, Centro de Cultura Digital, SNYK Contemporary Music DK, Festival Visiones Sonoras, The Mexican Center for Music and Sonor Art (CMMAS), NoEstaciónArte and Arte a 360 Grados.